The newly created series will feature three Internationals for the season with each taking place at different venues across the country. 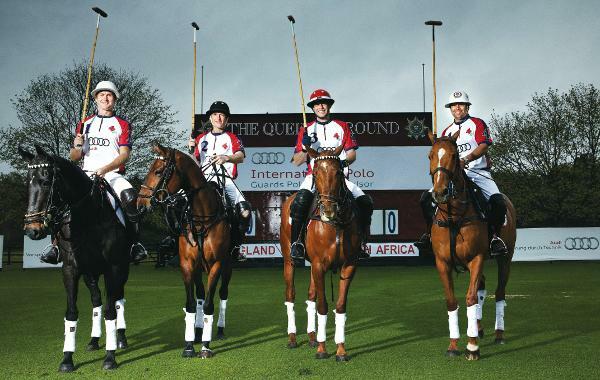 It will include the newly named Audi International at Guards Polo Club, near Windsor (formerly the Cartier International) – one of the highlights of the British summer season and undoubtedly the biggest attended UK polo event of the year. The new extension of existing Audi polo sponsorships will also allow the first ever Audi International match at Chester Racecourse Polo Club in the beautiful setting within the racecourse grounds. Additionally, the International Series will include the Audi International at Beaufort Polo Club, near Tetbury, Gloucestershire - already a regular fixture on the calendar of Internationals. The England team, sponsored by Audi too, also played in The St. Regis International Cup, at Cowdray Park, Midhurst (now in its fifth year) on May 19th where it took on a team from the USA. The investment by Audi in the International Polo Series, together with its existing sponsorship of the England polo team, will make the car company the biggest supporter of polo in the UK. “Th additional Audi-supported match days will allow us to organise – for the first time ever – an exciting and more cohesive programme of Internationals during the England polo season up and down the country. We are delighted with the addition of the Audi International in Chester. Audi’s investment also gives us the opportunity of providing first class training programmes and facilities not only for the top England professionals but also the young rising stars of the sport via its support for Pony Club Polo,” comments David Woodd of the HPA.